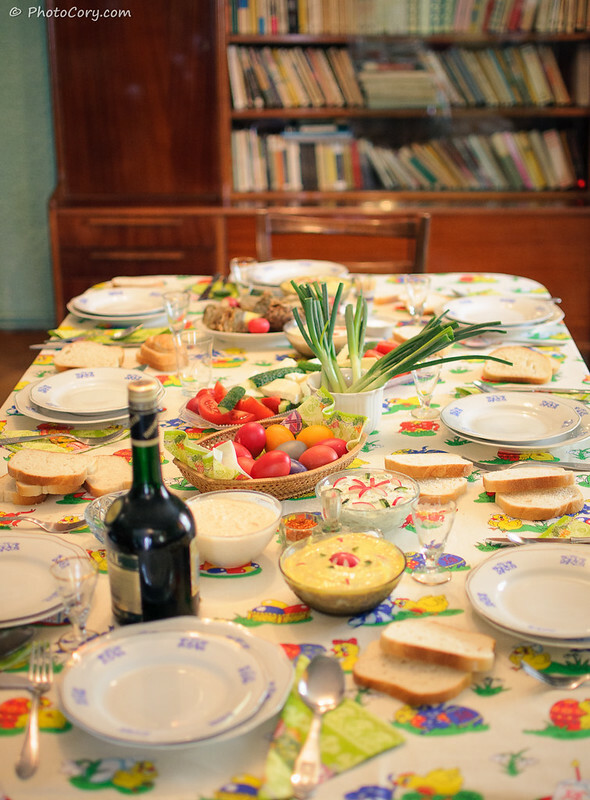 In ROMANIA, Easter reunites the family for a rich and carefully prepared lunch. 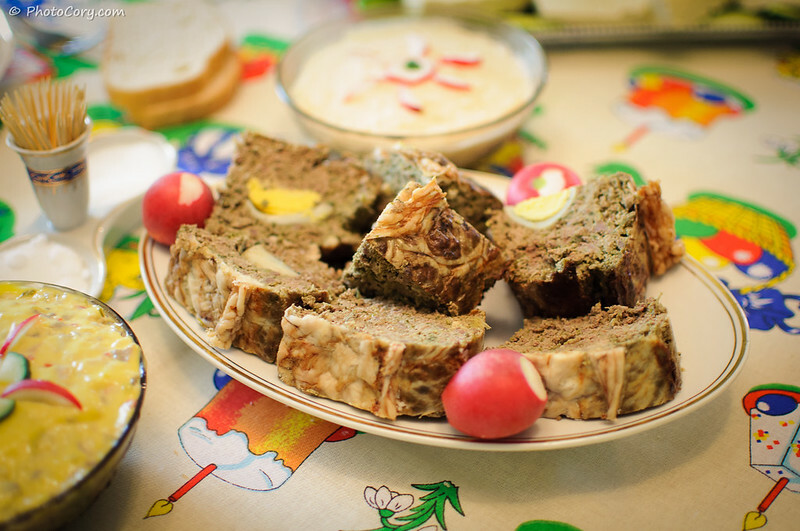 The main dishes are: lamb, pasca and eggs. It wouldn’t be Easter without the Red Eggs! And in Romania we don’t hide them in parks or forests. WE EAT THEM. At the table. At lunch. 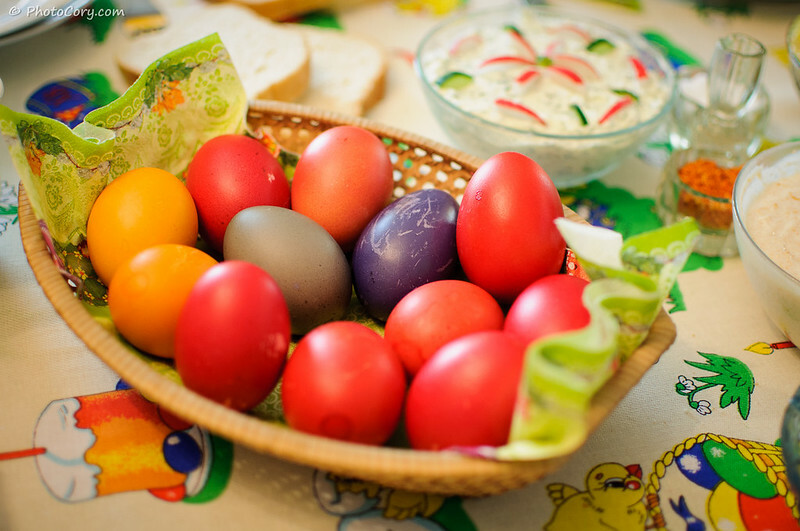 They are hard-boiled, colored in different colors, but mainly in RED, symbolizing Jesus’ blood. It’s made of minced lamb offal (internal organs – liver or kidney), mixed with eggs and spices, wrapped in caul fat (the membrane that surrounds the internal organs) and cooked in the oven. 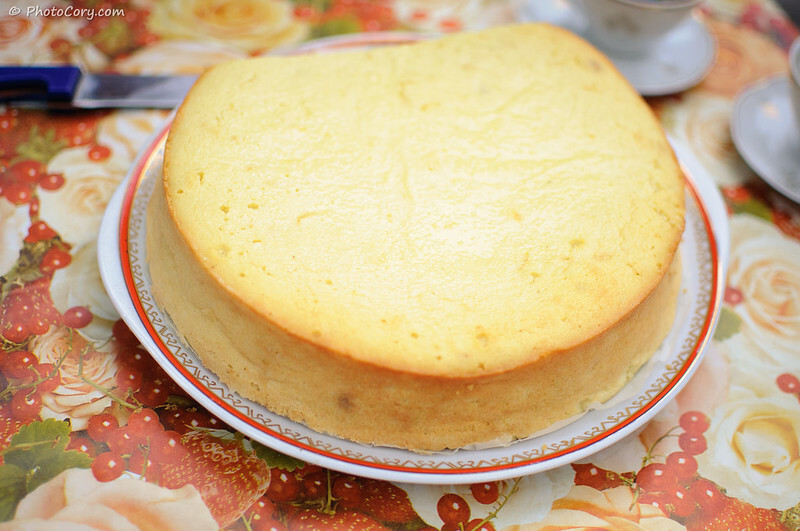 It’s a traditional Easter cake, with sweet cheese and raisins. 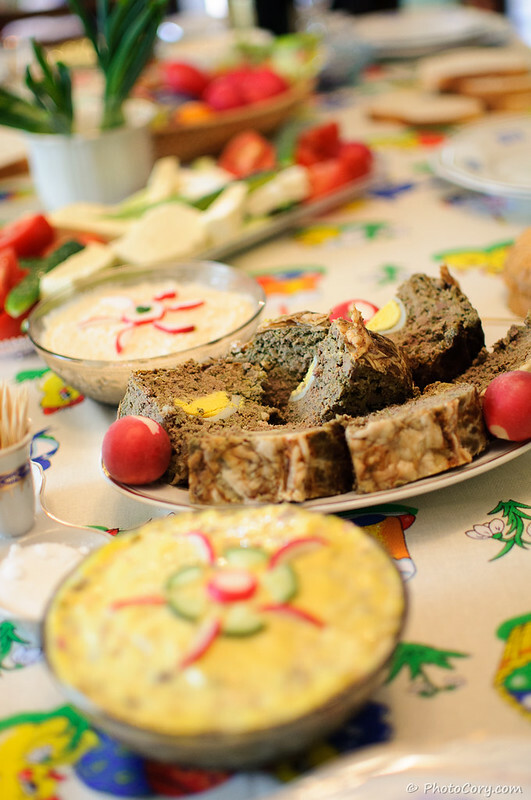 The recipe can vary in different regions of Romania. It’s a sweet bread (similar to Pantettone in Italy). 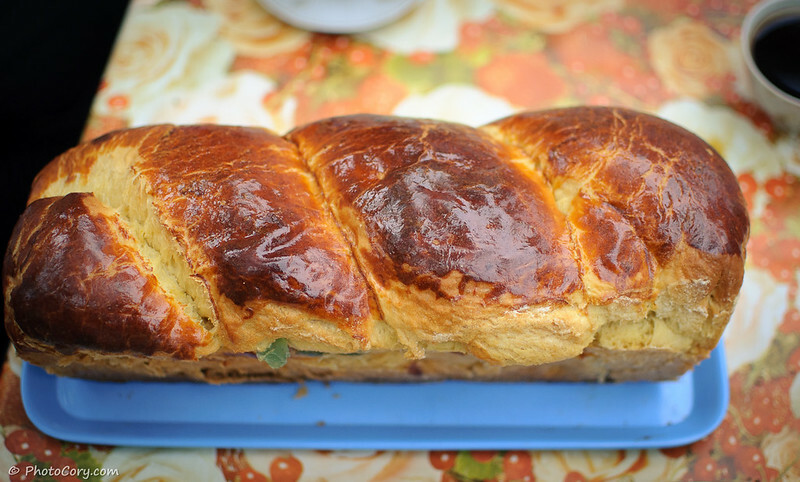 Cozonac is not a typical Easter food, but it’s cooked for big religious holidays (like Christmas) or other important events. It takes time and effort to make it! (up to 8 hours). Easter is the religious holiday celebrating the the resurrection of Jesus, the son of God. The date varies each year according to the Lunar Calendar (usually at the end of April, beginning of May). 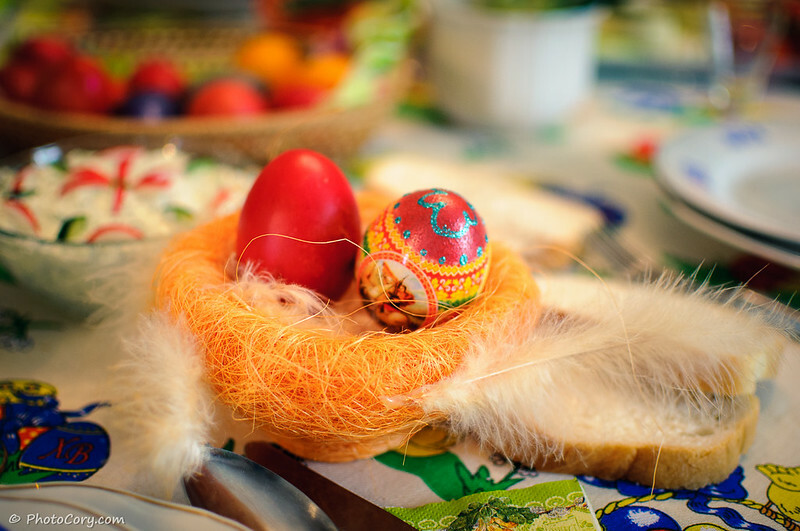 This year, the Catholic and Orthodox Easter are on the same date (the 20th of April 2014). 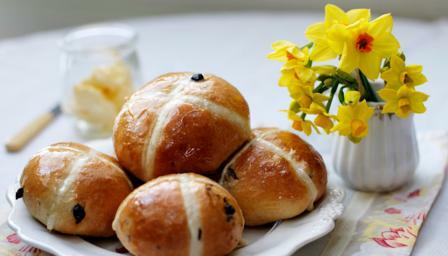 How is the Easter Food where you come from? Do you celebrate Easter? 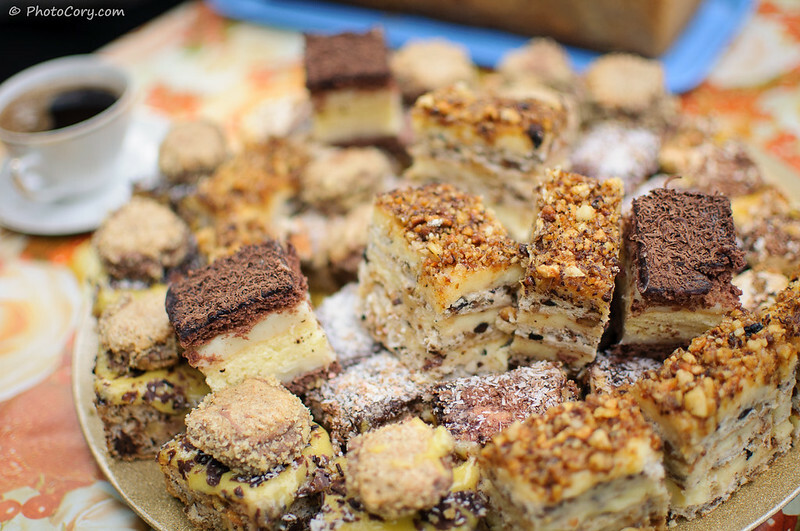 ← Why Haven’t You Visited Košice Yet? In my family ( in the USA) we usually had ham, mashed potatoes, roasted vegetables, and of course hard boiled eggs. I love the tradition where you crack the eggs together! I think I would like to add that to our traditions. I didn’t know in USA you make hard boiled eggs for Easter. I assume you color them as well? I wish you all the best for you and your family this Easter! We do. We use food coloring mixed with vinegar and dip the eggs in them to dye them. Then we search for them and eat them. Yup, those are the ones. Enjoy!